It was an absolutely beautiful evening this past Saturday for Dana and Benjamin’s wedding at The Sandpearl Resort on Clearwater Beach. 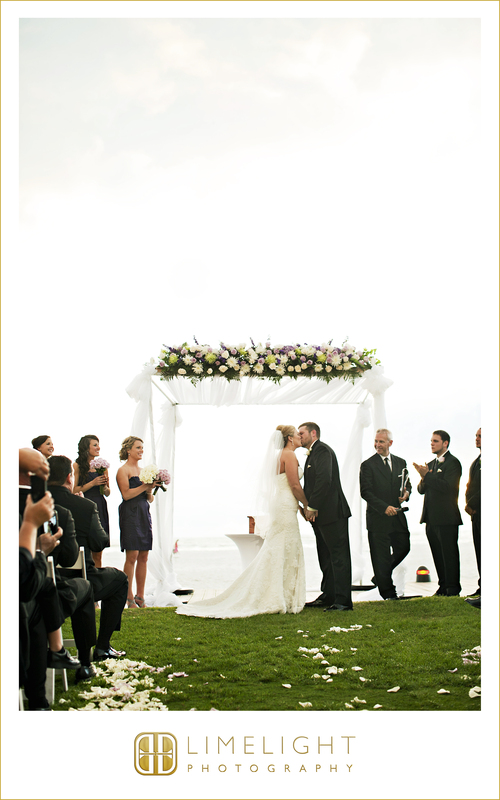 Dana looked stunning as she was escorted by her father across the gulf lawn to join Benjamin under their wedding arch. There, as the sun set behind them and in front of their family and friends, the couple shared their vows, exchanged rings, and were pronounced husband and wife by Rev. Rick Lackore of Sensational Ceremonies, LLC . Their all-star cast of wedding professionals included: décor by Botanica International Design Studio; florals by Beacon Woods Florist; videography by Bryan Coward with Lucky Lemon Flims; venue coordination by Catering Sales Manager Debbie Glancy and her staff at The Sandpearl; … all coordinated by Sarah Fairbairn with One Fine Day Weddings & Events. Special thanks to professional wedding photographers Michael and Rebecca Zoumberos with Limelight Photography for capturing the happy couple’s first kiss as husband and wife! Congatulations to the new Mr. and Mrs. Benjamin Nichols!